Philip I, AD 244 to 249. Billon tetradrachm from Antioch. Size : 25.4 x 25.8 mm. Weight : 13.55 grams. 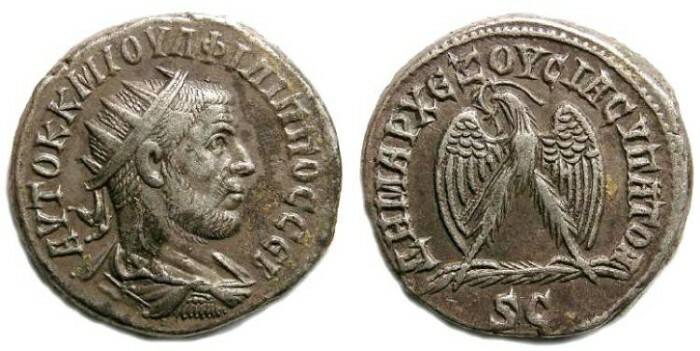 Obverse : Radiate head of Philip I right, with a Greek inscription around.